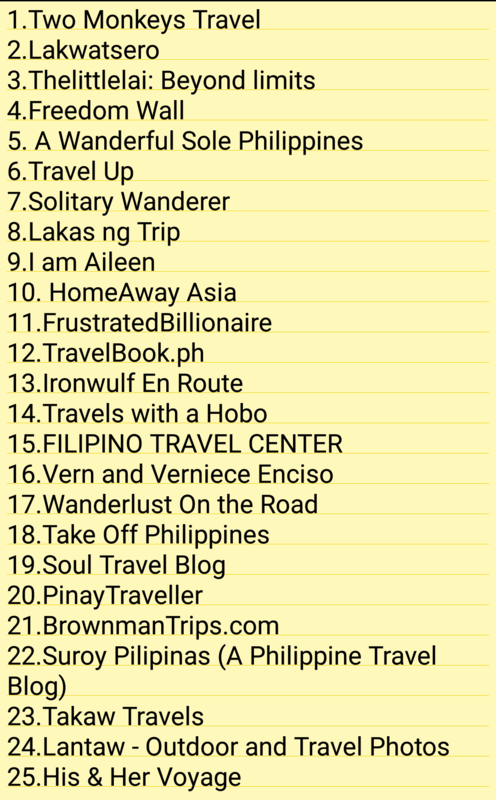 Top 25 Philippines Travel Blog: Apparently, I’m on the list. It was a busy Friday evening where I have just gone out from my office work and went to a party which is a normal life when December is at everyone’s door. I filled my empty stomach with a luscious food available on the table and have some chit-chat with friends and went home after the party. Going home without anticipating anything, I just wanted to rest since I had a stressful week because of so many reports to prepare and other stuff to reconcile before the 2016 will finally bid goodbye. I opened my Facebook the moment I got home, but I found out a notification coming from my twitter that I didn’t bother to check, then another notification coming from my Facebook page where I thought it was just a usual notification that sounds like a comment or just a likes from a follower, but it wasn’t that way. My Facebook page was being mentioned from other unknown page, but I was shocked after reading the notification. I actually didn’t believe at first and I try to read it once more, safe in mind that maybe it was a wrong thing, but it wasn’t. 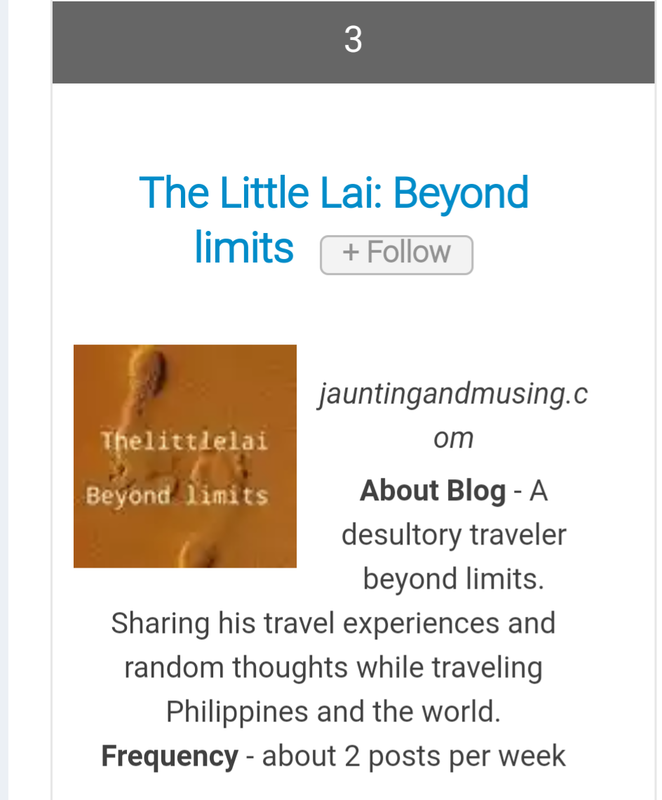 I was completely speechless after knowing the news that my blog Thelittlelai: Beyond limits is one of the Top 25 travel blogs in the Philippines along with other amazing travel bloggers in the Philippines. I couldn’t believe it since the other blogs that are included on the list are most sought-after blogs and have made names and are being recognized not only here in the Philippines, but in the world as well. I thought it was a joke, but it was real and I couldn’t thank the people enough who have been helping and supporting me since the first day I started this blog. 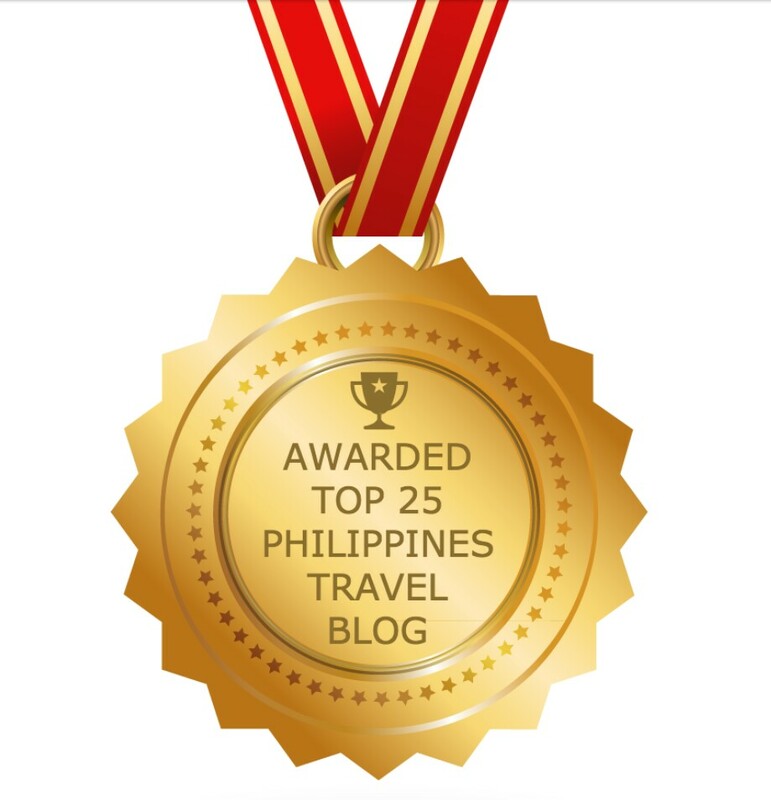 The Top 25 Philippines Travel Blog and Websites on the web was made possible by the Feedspot Blog Reader. They collect thousands of top Philippines Travel blogs in their index using search and social metrics. Quality and consistency of the posts. 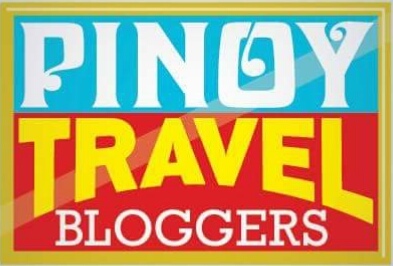 Here is the complete list of the Top 25 Philippines Travel Blog And Websites on the Web by the Feedspot Blog Reader. To Ram Kuizon of Masterryo, thank you so much for introducing me to the world of the blogosphere, which I might not receive all these recognitions and awards without you being supportive and have helped me a lot. To my HIBsters and CBC family, thank you all for always supporting me in every step of the way. To all my readers and followers, thank you so much for always giving your wonderful and remarkable comments on my blog post. To all my blogger friends, you’re all awesome and I thank you for always supporting me. To the people whom I have looked up to and idolize in the blogosphere world, thank you so much. To my friends who always supported me, thank you to each and everyone of you. To Feedspot Blog Reader, thank you for choosing my blog and including it in the list. To God, whom I have returned all the recognition and praises, thank you so much Lord for always pouring out your blessing, not only for me, but for all your children. Previous Post: KABILIN Heritage Merienda: The home of a Local MERIENDA with the Royalty Cebuano EXPERIENCE. Next Post: The ultimate TRAVEL GUIDE to LAKE HOLON including the new RATES of FEES and CHARGES. I’m so proud of you 🙂 Congrats ! That’s why you are my inspiration. This is superb, Lai! Kudos! Wow!!! Another well-deserved achievement. Congratulations, Padz! Congratulations, LaiAriel. Hope you continue to keep improving and come up with more exotic destinations. An award is good, but it is only the beginning. In the end, the most important award you could ever get are your appreciative readers. Keep it up. Congratulations! You did a great job! I hope that you and your blog will get more recognitions in the future. You are so blessed. Keep it up! Congratulations on the mention! It is indeed a great recognition for you and your blog. In India too there is similar ranking system, sometimes I get a mention sometimes I don’t 😛 🙂 . Wow congratulations.This is really something to be proud of. Continue sharing your thoughts and musings about the Philippines and the world. Congrats you should be proud, this is quite the honor! Congrats on your award! I recognize a few names on the list and now I know about your blog. Keep up the good work – we all know how hard and time-consuming blogging can be but it’s nice to know it pays off! Congratulations! What an awesome accomplishment! Goes to show how far one can take their travel blog! Keep it up! It’s always great to get good notifications! Congratulations! Congratulations! What a wonderful Christmas gift to you! 🙂 Your efforts paid off. More travels for you in 2017! Wow! Congratulations on being one of the top 25 travel blogs! This is surely a wonderful gift to your blogging life this Christmas! Now that you’re on the list, is there a pressure or you’re cool with it? Haha! Merry Christmas btw! 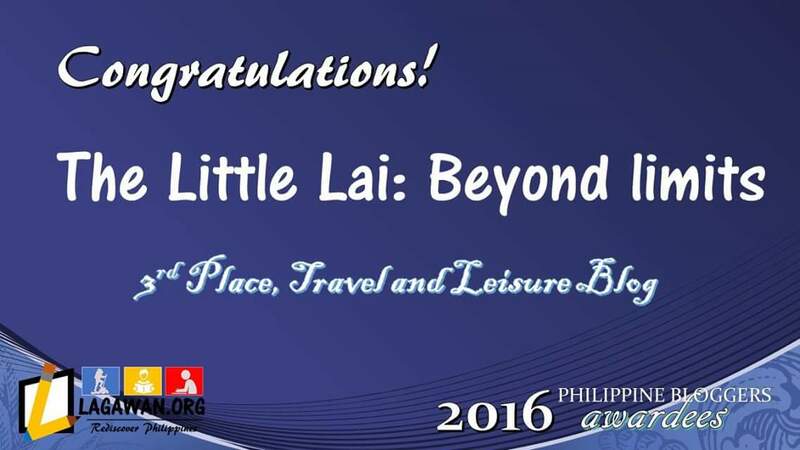 Congratulations on being one of the top 25 travel Blogger… Love your other posts and we are planning to visit Philippines next year. Thanks for sharing the list of other top bloggers too. Grabi ikaw najud master lai! Congratulations! You are amazing! Well done! I expect to see more exciting posts from you in the coming year! My coder is trying to persuade me to move to .net from PHP. I have always disliked the idea because of the expenses. But he’s tryiong none the less. I’ve been using Movable-type on a variety of websites for about a year and am worried about switching to another platform. I have heard excellent things about blogengine.net. Is there a way I can import all my wordpress posts into it? Any help would be really appreciated! Im a newbie on travel blogging. Any suggestions or advices?